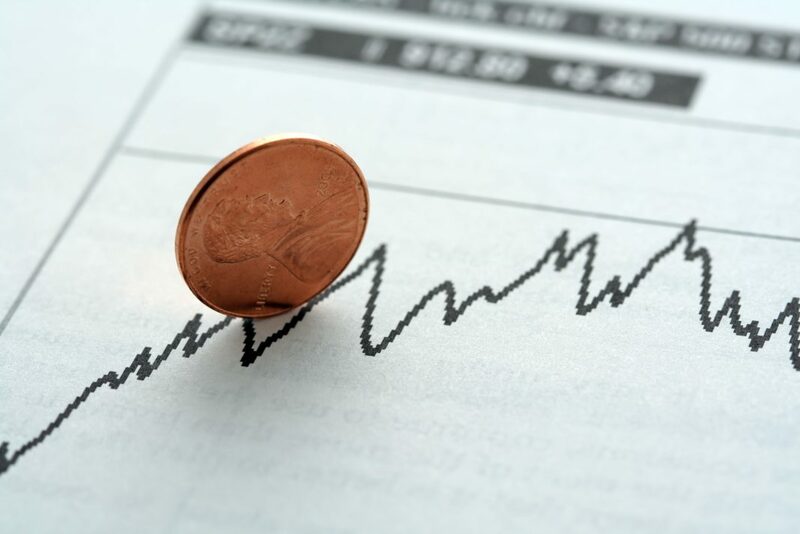 Few investment phrases can create as much excitement as these two words: penny stocks. But what’s the fuss over cheap share prices? Do hot penny stock picks actually live up to their money-making hype? The problem with penny stocks is that their definition is ambiguous. The U.S. Securities and Exchange Commission (SEC) defines them as low-priced speculative securities of very small companies. In this article, we’ll further restrict penny stocks to shares trading under one dollar. So why do traders go wild over penny stocks? What is the appeal of these low priced shares? There is an undeniable adrenaline rush from trading stocks that can easily jump 100% inside a week. New traders are often lured by the prospect of quick gains and not needing to keep capital invested for years at a time. But not all penny stock traders are playing the little jumps. Some long-term, “buy and hold” passive investors buy penny stocks with the aspiration that these tiny companies will grow into giants over many years. I have witnessed some of these stocks jump from pennies to just under $20. However, I have also seen them go bankrupt or fall to half their value in the blink of an eye. What tips might help a penny stock trader stay out of harm’s way and increase his chances of being profitable? Where do you find a list of penny stocks and cheap stocks to trade? Some investors will gravitate to message boards and forums, or just wander aimlessly from stock to stock without having a clear idea as to which company is a suitable pick. You can avoid this fate and find some of the best penny stock picks by using an automated screening device. Bing Finance is one fundamental stock screener that filters through companies not listed on major exchanges. Over The Counter (OTC) Markets is another screener that currently has 9,981 securities listed, many of which are penny stocks. This number gives you an idea of how many companies you might miss if you focused only on the major North American stock exchanges. Just keep in mind that some OTCBB exchanges have few requirements for companies to report income statements and other financial filings. Stocks with spotty reporting may not show up on your radar, but that could be a risk worth taking. Many people cringe when technical analysis is brought up. They may feel that it is convoluted, complex, and subjective. This can be true of some technical analysis. If you are new to chart trading, stick to simple analysis techniques such as support and resistance levels. Support Levels – When the shares fall down to a price and then bounce back up, it is called a support level. The more often this happens at a specific price level, the stronger the psychological support becomes. Resistance Levels – When prices go up only so far before falling back down, the peak price becomes a roof that creates fear. This is known as resistance. A simple technique is to look at a 6 month price chart using daily data. Draw a horizontal line underneath and above prices that the penny stock bounced off of. Consider buying on support and selling before resistance. Some penny stocks will only trade a few hundred shares a day while others will trade hundreds of thousands or more. To get an idea of how liquid a company is, multiply the amount of shares by the price to see how much money flows through the company each day. Penny stocks on major exchanges will generally have higher liquidity than Pink Sheets or other Over The Counter Bulletin Board trading. Highly illiquid stocks with only hundreds or a few thousand dollars traded per day can experience extreme volatility. It is difficult to invest a few thousand dollars in such small companies without driving the prices up. Also, when it comes time to sell, prices may plummet since there are few immediate buyers. Ensure your stock has enough liquidity for a fair, average price. Consider using limit orders, which set an overhead ceiling on maximum share price. Limit orders on illiquid stocks may take many days to fill, but the savings are worth it. While there are many methods and strategies to trade these low priced shares, the best tip is to do your own due diligence with each and every penny stock. Thus, you can be more sure that you are not simply the target of a “pump and dump” scheme. Companies with small market capitalization and few governing regulations are the playground of manipulative traders. If you are careful and do your homework, you will maybe, just maybe, find a hot penny stock to invest in. Do you invest in penny stocks? What are some of your best success stories and tips that you can share?